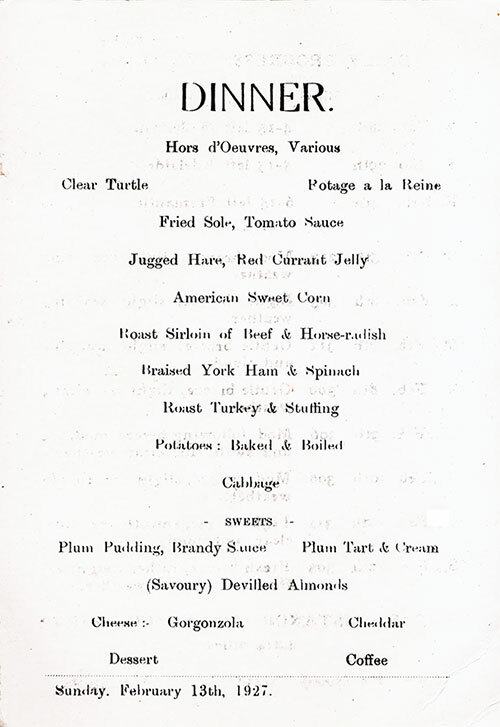 Vintage Dinner Menu Card from 13 February 1927 on board the SS Demosthenes of the Aberdeen Line featured Fried Sole, Tomato Sauce, Roast Sirloin of Beef & Horseradish, and Plum Tart & Cream for dessert. 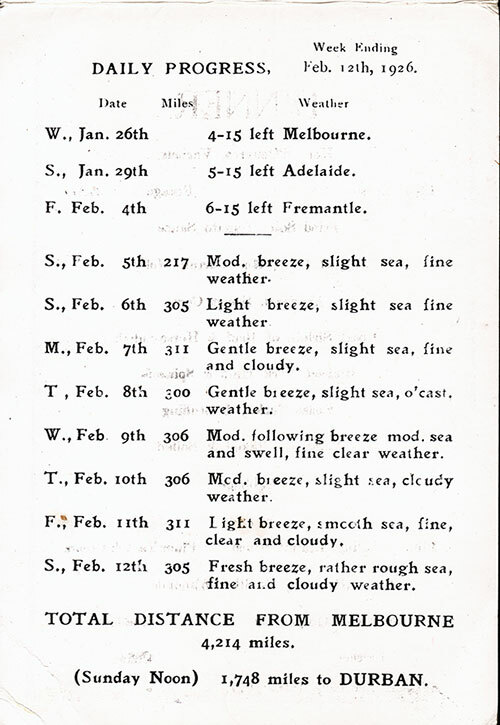 The reverse side contained a daily progress report of distance traveled and weather conditions. 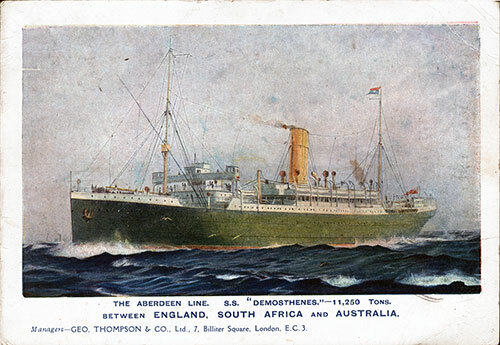 The Aberdeen Line SS "Demosthenes" 11,250 Tons sailed between England, South Africa and Australia. Managing Agents were Geo. Thopson & Co., Ltd. 7 Biliter Square, London E.C.3.